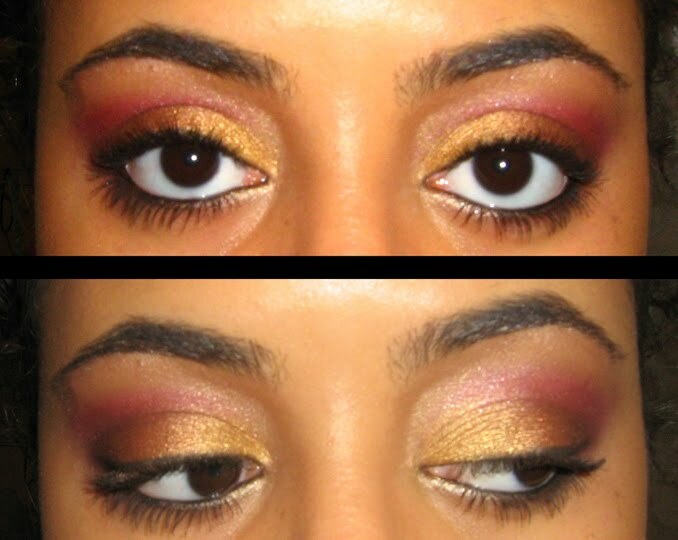 I first saw this pink/gold look on YouTube, in one of MakeupAdikt's videos. She described as a modern Indian or Pakistani bride look - I can't confirm this, I truthfully have no idea. What struck me was how pretty and soft the look was, when it was combining two sticking colors: pink and gold. I'm not wearing false lashes, just the combo of the two Rimmel mascaras. I would go ahead and do a more detailed description here of how I did the look, but I think it's safer to tell you to go check out MakeupAdikt's video. Her instructions are very clear and it will also show you the original products picked to make this look instead of the hodge podge of stuff I have listed here.